Forgive me, Lord, for I have sinned. I have been seduced by the promise of sophisticated applications, artificial intelligence, guided pathways and other advanced uses of an increasingly interactive internet. And, reviewing progress within a financially hard pressed legal services sector, I have paid insufficient attention to the basics: the installation of productivity tools and customer relationship management programmes that are routine in the commercial world; the use of video; simple improvements to websites. And I am not alone: you might have sinned in this way, yourself. But that is no excuse. maximizing the extent to which services are provided remotely rather than face- to-face, to save the time of both the clients/litigants and the service providers. Goals like these are very much dependent on basic office productivity tools that are now routinely expected in a commercial environment. Installation is a continuing work in progress for many organisations and is the source, around the world, of an enormous amount of effort. Small firms and tiny organisations just don’t have the resources of large commercial entities smoothly to implement a new system with a dedicated team. Small staff teams have to keep the show running and take on additional burdens. Two previous contributions emphasise the effort that is going into updating basic programmes to maximise the effectiveness of legal services organisations. These are routine in the commercial sector. Kate Fazio of JusticeConnect in Australia reported: ‘We are in the process of implementing a new customer relationship management (CRM) system that will bring together the functions of several fragmented databases. This work is being led by our operations team. We undertook a six month search process and involved a team of ten staff to examine products. We’ve settled on Microsoft Dynamics.’ Greater Boston Legal Services in the US, a legal service programme not funded by the LSC, is going through a similar process: ‘An early, and very practical, challenge was to design a new intake system’: it then moved on to other elements of client management. Decent case management systems will incorporate such simple elements as being able to text clients to remind them about appointments. Increasingly, there may be the possibility for clients to pre-state the basics of their case before initial interview. distributing digital tools being developed for Law Centre specific use as they become available, such as, tools to assist with client reception, client feedback and document generation. Technically, the requirements are simple. We first started doing this with lawyers and paralegals using their laptops in their offices. When we moved into new office space, we included in the plans two video-conferencing rooms. These have a 55” computer monitor mounted on the wall and a computer under a table. When seated at the table in the room, the images on the screen are at the same level – effectively sitting across the table from us. A webcam is mounted just above the monitor, so that when the clinic caseworker and client are looking at the monitor, they are also facing the webcam. A control on the table allows the direction of the webcam to be moved if necessary. We also have a polycom conference phone on the table as some video conferencing solutions use telephone audio. A softbox light in the room boosts the lighting, showing the client and caseworker more favourably than overhead fluorescent lighting. Finally, an ‘on air’ light outside the room warns others that it is in use, so the door should not be opened. Two English projects, funded by the Legal Education Foundation, have undertaken similar projects: one in Brighton and the other linking the Legal Advice Centre (University House) in London with an advice centre in Cornwall in the far west of the country. Technically this is all pretty basic but the potential to leverage the resources is tremendous. The importance of the basic is also shown in the undramatic but invaluable improvement of websites providing legal information. A good example of that is citizensadvice.org.uk. This is being revamped to take into account the lessons on presentation learnt from the government’s own websites (which have significantly improved) and technology that, for example, can show which content readers spend time on and which they gloss over. All round the world, organisations committed to producing digital legal information are improving their provision – even if few are moving onto the more advanced possibilities of guided pathways and interactive. Technology is exciting when it comes to access to justice, however, a lot of basic stuff is not being done well in the legal assistance sector (and the legal sector more broadly). Search engine optimisation is a good example. Not-for-profit and government agencies are not coming up in google search results when common search queries are made. Overseas, non-reputable sites like Wikihow often outrank them. The sector needs to focus on getting some basic things right – their websites and data management systems, and then move into really innovative spaces. Once the sector has a stronger digital foundation, there are really exciting collaborative possibilities. 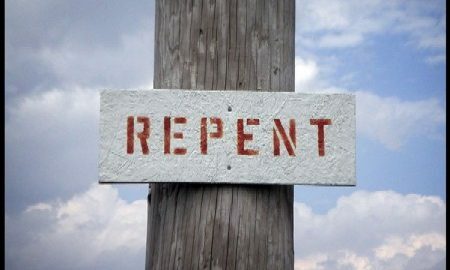 So (with just a touch of lawyer’s equivocation): to the extent, Oh Lord, that I have sinned, I repent.